Our research focuses on bioinformatics to solve biological problems. As bioinformatics can accelerate particular laboratory experiments by the initial screening of the biological information or by the after analysis of results, we develop techniques and algorithms with a direct application. Accordingly, we try to publish the developed bioinformatic tools for the open use in the scientific community, as web applications or standalone programs. In addition, we collaborate with other groups to carry out specific analysis on sequence, structure or massive data mining. 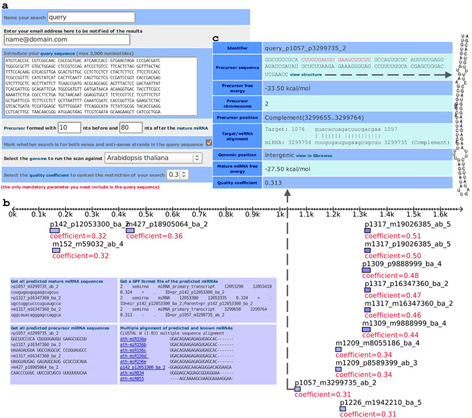 Examples from the developed tools are semirna (for prediction of microRNAs), Sma3s (for functional annotation of large sequence datasets) or orthoFinder (for finding orthologous proteins). To check for our bioinformatic tools you can enter at our group's web UPO-Genetics Bioinformatics Group. Currently we are interested in the analysis of sequences related to human diseases, as the Spinal Muscular Atrophy where we have already got results and we would like to show the homology between neuronal axons and fungal filaments.